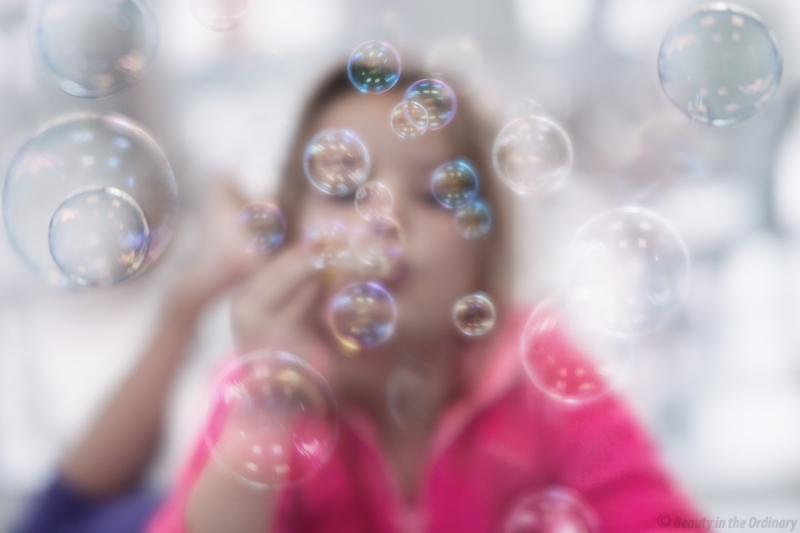 The other day I watched my oldest one blow soap bubbles in the sunroom and I got this image in my head of how nice it would look captured with a soft focus lens. The soap bubbles reflected off light from all the windows and I imagined the beautiful glow in the bubbles that I presumed the soft focus lens would create. I guess the picture in my head was a bit prettier than what I was able to produce with my camera and I also had to use several shots and merge parts of them because I wanted the number of bubbles in the photo to be more plentiful than my daughter was able to blow at any given moment, but it was a fun project and the final image is not bad.